Improvisation in the rehearsal room and improvisation live on stage require a high level of complicity between performers to reach a satisfying connection with an audience. Often we use a combination of free will, agreed rules and a common pursuit towards some outcome. When we add text into the mix the whole thing gets more complicated since the issues of compatible ‘languages’ comes into play. Clarifying what these languages are and how they relate to each other is halfway to understanding how synergy and unexpected associations can serve each other. framework to work with and a common level of abstraction or stylisation. Layering languages, whether they be text, image, movement, sound can be very simple once we all understand how these elements serve the idea of total composition. director, I have worked more and more across disciplines and found the need to understand this idea of parallel languages. A multimedia performance with light and sound is no different than creating a work with dancers and singers once there is a common understanding of what makes up a composition. In this Improvisation Workshop Block, I intend to pull apart composition to clearly defined elements and reconstruct them into live performance with a variety of technique-based and subjective tasks. We will be using movement, text, light and sound. Hopefully I’ll have a few techniques that are unfamiliar to you and you will have some that I haven’t tried before, together we will create scores for performance based on spontaneously created ideas with a high level of risk. Stephen Bain began his interest in live performance by way Architecture at Victoria University of Wellington (BBSc 1987 - School of Architecture), furthered by actor training at Toi Whakaari: The New Zealand Drama School (1990-1991). He appeared on stage and screen in numerous productions around New Zealand but was quickly attracted to the role of director and designer where he has done his most innovative work. His early productions combined documentary, spatial design and drama, receiving numerous commissions through Creative New Zealand (the NZ arts council) as well as critical acclaim and awards. In 1995 he studied in Paris with Pantheatre, where he began a seven-year collaboration with French Choreographer France Herve forming Choreographic theatre company Under Lili’s Balcony. This company presented many successful theatrical productions in New Zealand (1996 – 2002) while simultaneously creating a strong pedagogic curriculum teaching in performance studies institutions in NZ and France. In 2004 Stephen founded Winning Productions to accommodate his growing involvement in design and a widening view of performance as public interaction. Six Winning Productions’ projects have toured nationally and two productions have toured extensively throughout Western Europe (2008 – 2011) to arts festivals, live-performance venues and street-theatre festivals. Recent tours include New Zealand, Australia, Singapore, Netherlands, France, Belgium, UK and Canada. His most recent production (When Animals Dream of Sheep 2011) was co-commissioned by Oerol Festival in Netherlands and The EDGE in Auckland, it also played at Chalon-dans-la-rue festival in France as a co-production between Winning Productions and Netherlands-based dance-theatre group TragicTrio. Stephen regularly teaches ‘Video for performance’ at Toi Whakaari, The National Drama School in Wellington New Zealand. He has also taught performance at Massey University (Dept of Spatial Design and Drama Dept), Victoria University of Wellington (Dept of Theatre & Film), Ucol (Acting Studies) and WPAC (actor/dance training). In 2005 Stephen was Artist in Residence for one semester at Massey University in Palmerston North. 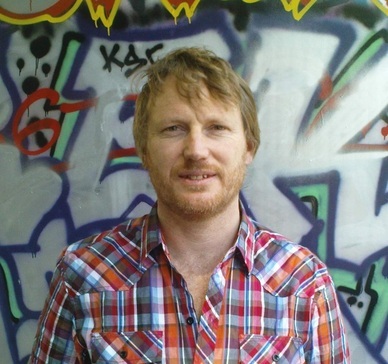 In 2012 Stephen is artistic director and curator for a festival of cross-discipline live-art, the New Performance Festival in collaboration with The EDGE in Auckland. His current projects focus on the interface between performer and audience, choosing to create performance in primarily public spaces and most usually combining installation, live performance and audience interaction. Stephen has used unusual performance spaces like shop-windows, disused buildings and the natural environment, he has also been commissioned through local city councils to create performance works that question the relationship between public and private. Design for his latest work Luminoceros, appeared as part of the NZ exhibit at the Prague Quadrennial 2011 (International expo of performance design).